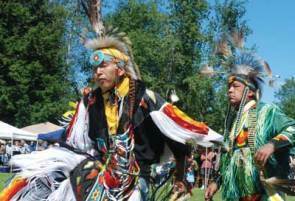 The first residents in our region are the ancestors of what is now known as the Little Traverse Bay Band of Odawa Indians. Their presence dates back thousands of years to when the tribe was known as Anishnaabek. Their language still exists today and about 4% of the county’s population is comprised of American Indians. Today’s tribe is diligent about the preservation of their history and their culture. 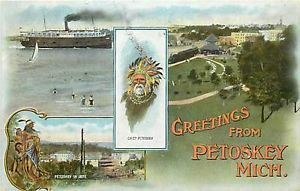 The town of Petoskey was known as Bear River when the first missionary arrived in 1855. The earliest white residents were primarily missionaries and fur traders, the fur traders arriving to capture the abundance of beavers in the region. The oldest building in the region that is still standing is the St. Francis Solanus Indian Mission Church established by Father Baraga, the “Snowshoe Priest” in 1859. The church stands on West Lake Street.The oldest building in the region that is still standing is the St. Francis Solanus Indian Mission Church established by Father Baraga, the “Snowshoe Priest” in 1859. The church stands on West Lake Street. Growth started to occur in the region when the railroad arrived in 1873. It was in that year when a reporter from a Grand Rapids newspaper, George Gage, rode an excursion train to see this new land. In his accounts, he described the area as the “Land of the Million Dollar Sunsets,” a moniker that is still used today. 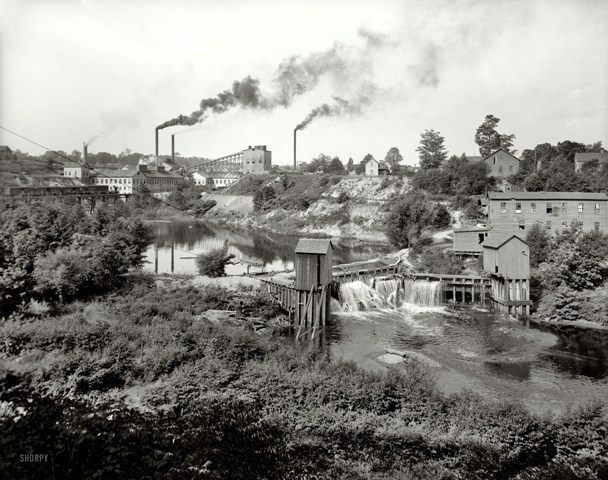 In its early years, the economy of the Little Traverse Bay Region included limestone mining and lumbering. In fact, lumber from this area was shipped south on Lake Michigan to help rebuild Chicago after the famous Chicago fire. 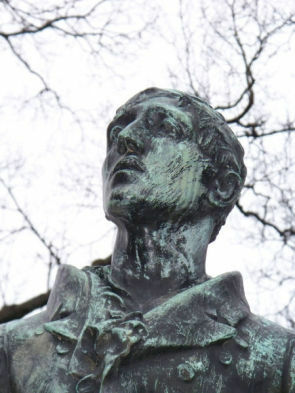 Emmet County was named in honor of Irish Patriot Robert Emmet and was originally known as L’Arbre Croche or Crooked Tree, after a tree that was used as a landmark for approaching canoeists. The town, then known as Bear River, had its name changed in honor of a local chief of the Odawa Nation and well respected businessman, Chief Ignatius Petoskey. A statue was erected in honor of Chief Petoskey in 2005 and overlooks Little Traverse Bay on Lewis Street near Stafford’s Perry Hotel. One of our early, famous resorters, was the son of a doctor who went on to become one of the most famous authors of all time, Ernest Hemingway. The Hemingway family had a cottage on Walloon Lake where young Ernest spent the first 22-years of his life here every summer. He went on to write a series of short stories based on his northern Michigan experiences featuring a character named Nick Adams. His first novel, Torrents of Spring was set in Petoskey. The family cottage, Windemere, still stands today and is still occupied by descendants of the Hemingway family. 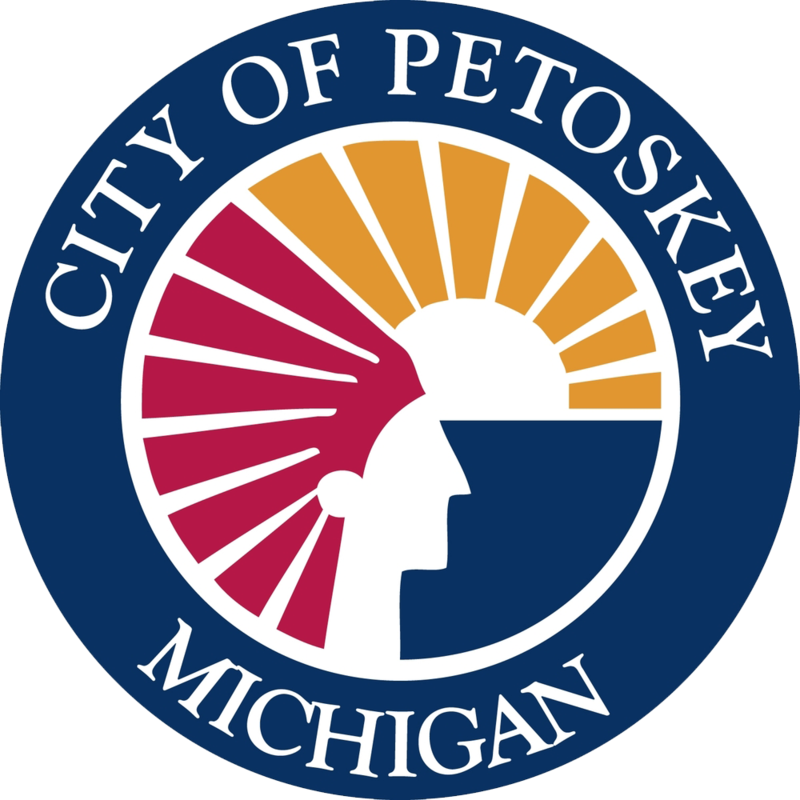 The word “Petoskey” is a native word that translates to “rays of light.” The famous Petoskey stone bears that name because the fossil in the stone resembles rays coming from the sun. The Petoskey Stone is Michigan’s state stone and can only be found in this part of the world. It is a popular trinket at souvenir shops and jewelry stores in Petoskey. 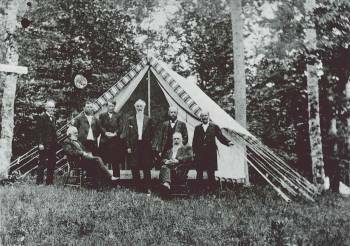 The railroad soon gave land to the United Methodist Church to build an encampment. The community of Bay View was then established in 1875. The community has grown over the years to include around 450 cottages, most of which were built prior to 1900. 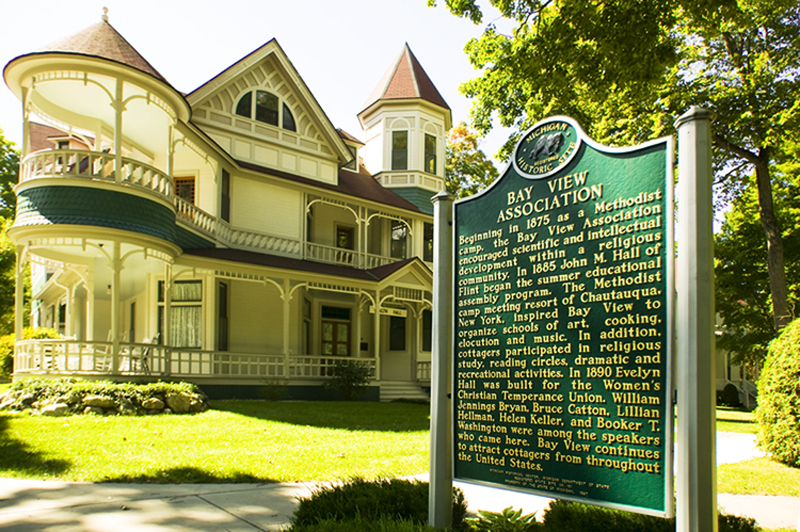 Bay View Association is recognized as a National Historic Landmark and still functions today as it did in its beginnings as a Chautauqua on Lake Michigan. In Bay View they practice the four pillars of a Chautauqua: religion, recreation, education, and the performing arts. Famous speakers over the years have included Amelia Earhart, William Jennings Bryan, Booker T. Washington, and Helen Keller, to name a few. Bay View still presents a series of lectures and performances throughout the year, many of which occur in John Hall Auditorium, an auditorium with seating for more than 1,000. In addition to Bay View, other “resort” communities emerged in the late 1800’s. The most famous being Walloon Lake, Harbor Point and Wequetonsing. These communities launched the “resortism” economy which is an economy built around vacation homes. The latest resort community to emerge is Bay Harbor which started just west of Petoskey in 1993. Many of these resort “cottages” have been occupied for multiple generations by famous families of Midwest industrialists. Today, about one-third of the residential units in Emmet County are non-primary residences. Tourism has also been an important part of the economy since the 1880’s. People came from throughout the Midwest on railroads and steamships to escape the summer heat of the non-air conditioned cities or to seek hay fever relief in the cool, clean air that came off Lake Michigan. 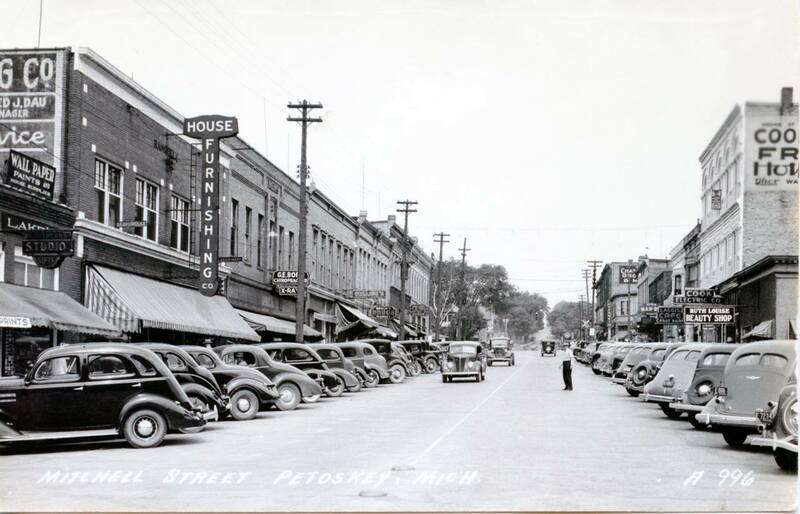 By 1900 there were 14-hotels in Petoskey that could accommodate as many as 2,000 guests on any given night. The ski industry emerged when Everett Kircher bought land in 1947 to build the area’s first ski resort. That land is now known as Boyne Mountain in Boyne Falls. Boyne Resorts has expanded to add Boyne Highlands near Harbor Springs. The Nub’s Nob Ski Area opened in 1958, also near Harbor Springs. The three ski areas boast the Midwest’s Best Skiing. On any given weekend, 5,000 skiers can be found on the slopes in northern Michigan.